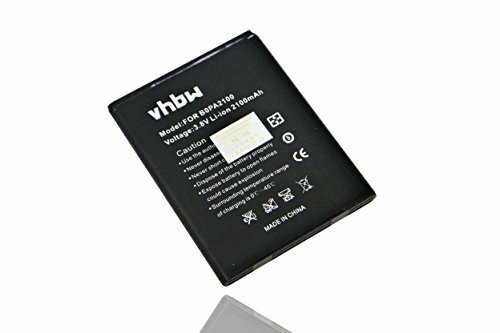 Has anyone had any luck with third-party batteries? Which model batteries have you tried? Does Sailfish OS, as distributed on other phones, need any changes to optimally run third-party batteries? Jolla Customer Care has asked me to share that I've used a battery originally designed for ZTE devices (replacement part no. LI3719T42P3h644161) to boot an unresponsive Jolla handset. The battery was 3.7V, 1850mAh and roughly 64mm by 42mm by 6mm with the correct pins and safety catches to fit into the battery slot. I successfully ran a few apps without issues, but haven't been able to perform further tests. I haven't checked if Sailfish OS does anything special with regards to battery monitoring, charging and safety. I don't know if it expects to query a controller on the battery's PCB, or has been hard-coded to standard operating conditions (temperature, peak voltage etc.) for the 22B50 from NLT Electronics. I don't think this is but for the most desperate Jolla users since the form factor of the ZTE battery is different. I wish that Jolla would finally start to sell spare batteries. After more than a year, this is just ridiculous. Fellfrosch - by waiting until it explodes, then the user sends the now heavily damaged phone to Jolla, who replace it with a new phone (and obviously new battery). Has anyone run into a battery showing correct temperature readings for the battery in your tests? time to close the question ? We never recommend using a non-Jolla approved battery on a Jolla smartphone – there might have been a misunderstanding in previous communication (TomasM discussion with Care), and we apologize for that. There are several reasons for this, but most importantly: using a non-Jolla approved battery on a Jolla smartphone might cause damage to the device. And, if this happens, it is a warranty voiding action. So, if you choose to do this, it is at your own risk, and we can’t promise warranty service if your device gets damaged as a result of doing so. Some good news here too: we will have a limited batch of spare batteries coming on sale to the Jolla Online Shop very soon. We will announce the availability first to you, TJC Community members, before promoting them elsewhere. It's not a big batch, so you will have to react quickly if you want one. We unfortunately do not have further information on later availability at this stage, but we will keep you posted. So stick and stay with us for upcoming news! Thanks! That was very needed. But still hoping for a general availability rather sooner than later! Can you have a battery manufacturer build some more batteries? They are dirt cheap to produce, and many companies will do it for as low as 100 pieces. [edit 11.8.2015] using the battery above since one week. reaches around 93 to 94% capacity. CSD battery test is ok. with situations turned on (turning on flight mode overnight) i can easily do two days without charging. i'd say battery performance is similar, maybe slightly worse than the 6 months old original battery. I believe we have a winner here. The Desire 310 battery looks exactly like the Jolla one. Same shape of the keys, same size of the contacts. I think I am ordering one to test it. I took one from AliExpress, it's going to take a month before I get it. I will post the results of the test. I took one of the golden compatibles; they are not great quality but they are cheap, so I can test if it works before purchasing better ones. It's about 8 EUR shipped. Yeah! I just received mine from here: Ebay, plug + play, perfect fit, Jolla is loading now. Pawel and Giacomo, you are my heroes for today. Please share what you think about it in terms of duration. @Robomike Thanks! Can you post CSD Tool screenshots testing this battery? Pictures: click for gallery here Have 2 devices, so I ordered 2 batteries. New battery on Jolla #1 (formerly with nearly unused batt.) was delivered with (so said Jolla) 53%. Started loading with a strong loader (not the original from the box), HungerMeter tells -4000 mW at the beginning, down to -550mW at the end. It lasts 1h38m until LED starts blinking slow: 100% reached. (!!!) Results of csd-tool see in the picture set. Jolla #2 loads a bit stronger, started with 55% and -4000mW, is now on -1000mW, but showing 100%. LED not yet flashing. This device has had an old and weak battery before and the loading characteristics depends on the saved values? (My opinion). I will unplug now and use the device some hours. - Update: started flashing after 1:45, screenshots csd added to gallery end. I can now confirm this Acculand battery a perfect match. The battery brand is Powery. Today I received my second replacement battery and both me and @hps can confirm this BatteryUpgrade link a match. A bit more expensive though, even with "free" shipping. @eson, can you tell me what is the voltage charging max.? 4.35V or 4.20V? Yup. Have one of these too. Perfect match and very durable. I even have the impression, the Akku-Land battery is keeping cooler when charging, compared to the original from Jolla. At least this is a visible explanation for the shortage. I use this one for a week now without any problems (Guess I'm not the only one). Provider: Amazon.de. Price 14.99€, 1€ shipping. Bought a battery this evening at http://www.batteriezentrale-muenchen.de/. "Replacement for HTC BOPA2100/DESIRE 310" fits perfectly well and also meets the specs completely. It's a brand-labelled product of this shop, which is specializing in batteries of all types and known not to sell crap. I may have a lead on a battery similar to the one used by Jolla, but I have not found it yet. 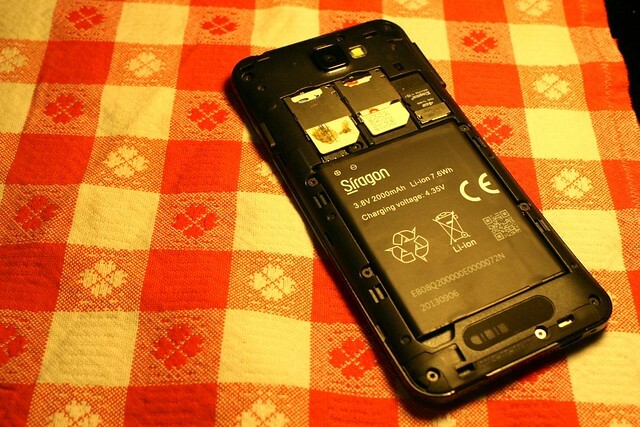 The second model number H152264 seems to belong to the battery of a Venezuelan smartphone, Siragon Sp-5100, released around October 2013. Seems pretty similar to the Jolla one, although apparently a tad lower capacity (2000 mAh vs 2100 mAh). However, I wasn't able to find yet whether that battery is available anywhere, except few announces on some Venezuelan 2nd-hand websites (note that the phone seems to be available only on the Venezualan market, so we are not talking about big numbers). P.S. Note that also the Siragon Sp-5100 has a 4.5" IPS display, 540x960 pixels, so probably behind there is the same ODM as the Jolla phone. Do they sell this phone with "user-replaceable battery" too? This is rather interesting, as the Siragon phone apparently suffers from the same reboot/shutdown problems as its inwardly identical twin sister. The solution found in Venezuela seems to involve cutting off one of the three phone-side contacts. o.O https://www.youtube.com/watch?v=NIiVNLVPHjE I know it's the wrong thread, but has anyone tried that on their Jolla yet? Does that mean it charges in your Jolla? "compatible" Polarcell battery for HTC Desire 310, 3.8V 2100mAh. "compatible" Gold battery for HTC Desire 310, 3.8V 2450mAh. Electrically it seems to be 100% identical to the original JollaPhone Battery, Model 22B50 by NLT ELECTRONICS. But I haven't done any qualified metering, just checked with CSD-Tool. Also the reported battery-temperature seems to be accurate. It stayed low while charging (25.9°C) with the original power supply. Mechanically, there's a very small difference in the height of the battery pack. I added 7 layers of household-common adhesive tape (like Scotch produces e.g.) to the bottom (simply cropped with scissors). Without that tiny socket, contact was lost sometimes and the phone rebooted. Conclusion: According to nick75's metering report, the "Polarcell for HTD Desire 310" is on par with the original regarding capacity, but temperature reading doesn't work. My experience is that the X-Longer CS-HTD310XL also is on par regarding capacity, and also provides correct temperature reading. Just remember to make it fit more tighten by adding some layers of thin adhesive tape to the bottom-edge of the pack. Update: It turned out that the temperature readings are fake. It's always between 25 and 25.9°C while inverting physics. The colder the battery, the higher the value (maxing out at 25.9). That's true for all 3rd-party replacement models i tested so far. But not, for the original HTC B0PA2100. They are specified with 2000mAh resulting in 7.6Wh instead of 2100mAh/7.98Wh, but the temperature reading matches real numbers!!! [battery] Indiegogo campaign or "spamming" Mugen Power batteries?